Cassadaga is named after Cassadaga Lake outside Lily Dale, New York, sister town to Cassadaga, New York and Florida. Lily Dale is the oldest Spiritualist community in America. It was incorporated in 1879 as Cassadaga Lake Free Association but was ultimately renamed Lily Dale Assembly in 1906. George P. Colby (January 6, 1848-July 27, 1933), a trance medium, believed his Native American spirit guide “Seneca” led him to Volusia County, Florida in search of land to establish a Spiritualist community. George was homesteaded 145 acres in the area and donated 55 of those acres to create Cassadaga. He died at the age of 86 and is buried in the Lake Helen Cemetery. Wintering psychics and mediums from the north sought a warm location to winter. The unincorporated town was established on December 18, 1894 as the Southern Cassadaga Spiritualist Camp Meeting Association. Cassadaga is known as the “Psychic Center of the South.” Less than 70 people reside in Cassadaga. All are psychics and mediums. The Cassadaga Hotel, the only hotel in town, was originally owned by the camp but was lost in foreclosure. It is privately owned. The original building burned down on Christmas Day 1926 but was rebuilt within 2 years. More than 15,000 people visit Cassadaga per year. There are 7 parks and meditation areas in the camp. Visitors can walk the town, book appointments with psychics, tour 2 historical buildings, shop the bookstore, or sip coffee at the hotel. Singer/songwriter Tom Petty (1950-2017) wrote the song “Casa Dega” about the town. Fiction writer and essayist Carl Hiaasen based the fictional town Grange in Lucky You on Cassadaga. In the novel, Grange is a strange town where people experience a lot of religious miracles. The main character JoLayne, and African-American woman who wins ½ of a Florida Lottery jackpot, resides in Grange. If you visit, stop in the Lake Helen Cemetery, situated between Cassadaga and Lake Helen. In the cemetery in a family plot, there is a brick bench, a mourning bench. An urban legend has started that this is a “Devil’s Chair” whereby the Devil arrives when someone sits on the bench. Another tale states that if a can of beer is left, it will be empty in the morning. Let me know what happens. Seemingly simplistic storybook-themed amusement parks popped up in the mid to late 50s. They were travel destinations for families with children. Over the years, decreased attendance and changing interests drove parks to update exhibits. Modernization was costly; therefore, many parks closed facilities and removed the exhibits. Few remain today. Some of these historically significant relics have been destroyed, thrown out, or lost. Fairyland, located in Tampa, Florida, seemed destined to the same fate; however, an auction saved the exhibits for future preservation. Preservation of these old amusement parks is vital to our American history. Built in 1957 with private funds, Tampa’s Fairyland Park and Zoo was situated on 15 acres and free. Advertising referred to the attraction as a “storybook park for children”; however, people of all ages enjoyed the various fable-themed life-size figures and props. The City of Tampa shuttered Fairyland in 1996. All of the items were placed in an outdoor storage lot and ultimately forgotten. Twenty years later, the deteriorated figures were discovered and scheduled to thrown out. Tampa Mayor Bob Buckhorn referred to them a “junk pile,” yet refused to donate them to a preservation group. After public outcry, the city decided to auction them off. The heated auction grossed the city $28,300. Save Fairyland! was created to solicit donations to purchase the lots and to raise awareness. They kept Facebook group members abreast of the auction. Although two mystery bidders attempted to thwart the bids and pushed winning bids to higher than expected prices, local businessman Gonzmart won 11 out of the 12 lots. The final price shocked members who were thrilled with a figurative Knight in Shining Armor defeating the outside bidders. The group continues to post restoration pictures along with Fairyland-related endeavors. To follow the restoration process, join the Facebook group: https://www.facebook.com/groups/savefairyland/. The auction serves as an important lesson and strategy for other groups hoping to preserve the past. Perseverance pays off. For more information view https://www.tampapix.com/zoo_old.htm. It is an excellent resource providing historical information, as well as loads of pictures. Reports of abuse and killings plagued the Arthur G. Dozier School for Boys for decades. Former detainees filed a class-action lawsuit. The State of Florida investigated determining that there was insufficient evidence to substantiate. The University of South Florida (USF) Anthropology Department received a grant to exhume the 31 known and over 55 unmarked graves. Dr. Erin Kimmerle, a professor at USF, also obtained an order allowing the excavation of another coffin in Philadelphia. Her team dug up the coffin only to find wooden planks instead of a body. 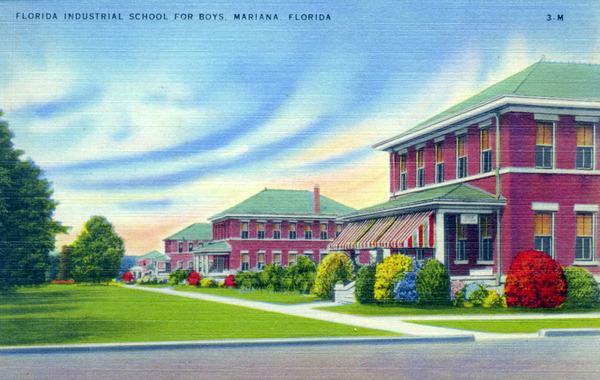 The Florida State Reform School opened in January, 1900 in rural Marianna, Florida. The state-run facility housed boys, aged 8-21. At its maximum, the school housed 500 boys. The school closed for “budgetary reasons” in 2011. These young men committed minor crimes from truancy to theft and were sent to the school in an effort to restore them to community life. Along the way, something went horribly wrong. Undergoing four name changes in its 111-year history, the Arthur G. Dozier School for Boys sits on 1,400 acres. Numerous buildings and cottages dot the landscape. Former residents described the grounds as beautiful—much like a college campus. Facilities included a pool, cafeteria, farm, dairy, and hospital. Two cemeteries, one for Caucasians and another for African Americans, exist. However, only 33 graves are marked with crosses. 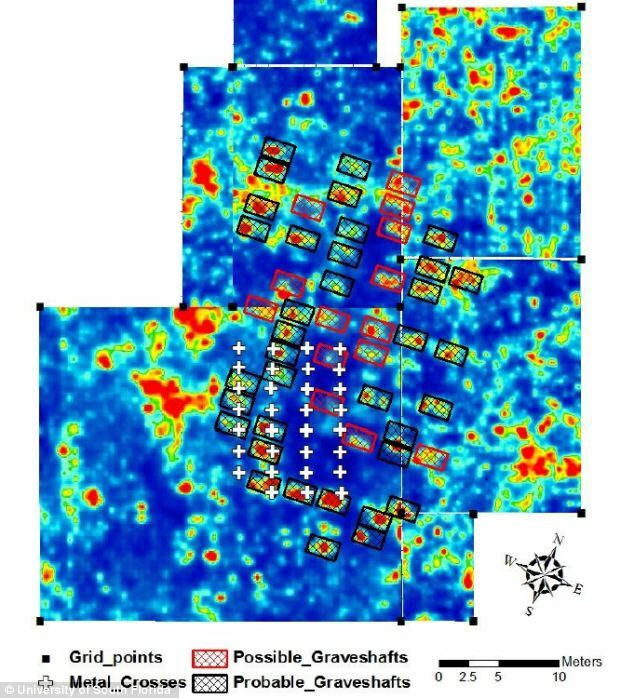 Through radar, another 55 additional unmarked graves were located. An additional 22 boys who died at the school are unaccounted for. Numbers vary; however, some 84-100 boys died while detained at Dozier. Unfortunately for some, the school became a place of torture. In 1925, 17-year-old Thomas Curry was sent to the reform school. He remained for 29 days. A ledger entry at the school denoted Thomas was “killed on the RR Bridge Chattahoochee, Florida.” The Old Cathedral Cemetery, in Philadelphia, listed his death as “killed by train.” Curry’s death certificate, discovered in 2008, stated death was caused by a crushed skull from an “unknown cause.” No one from the school reported Thomas’ death to the State of Florida. 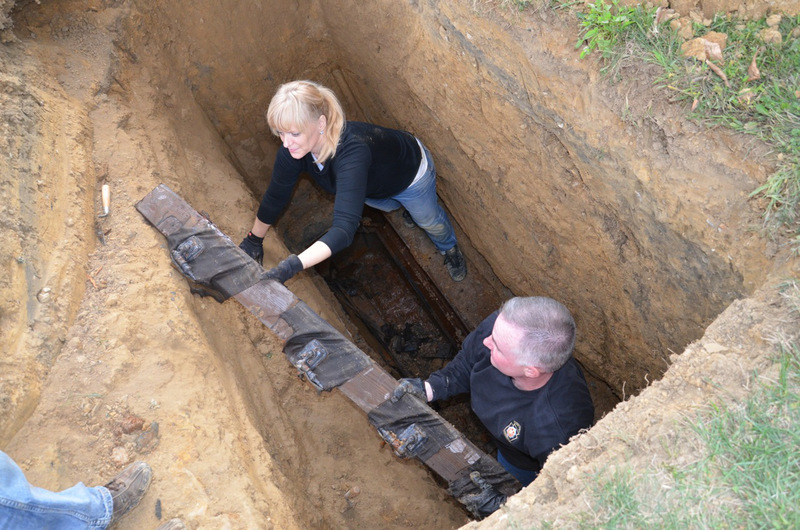 A wooden coffin was sealed and transported to Philadelphia for burial. The coffin was interred above Thomas’ grandparents. There is no tombstone. When the coffin was opened, wooden planks were discovered. No body. No skeleton. No personal effects. Where is Thomas Curry? Coffin filled with wooden planks. Although a state investigation (2008-2009) failed to find sufficient evidence supporting reputed abuse, this discovery—or lack thereof—should reopen the investigation. Bodies were illegally buried. Bodies were improperly handled. Boys disappeared. Former detainee Roger Kiser called Dozier a “concentration camp for little boys.” The idyllic images of the school posted online in the Florida archives clash with the testimony of 300 men. A missing body highly suggests foul play. Tune in Friday, October 17th at 9 pm to “Breaking the News” on Paranormal I-Con on www.liveparanormal.com. The Haunted Librarian joins host Wes Forsythe as they discuss the latest paranormal news.